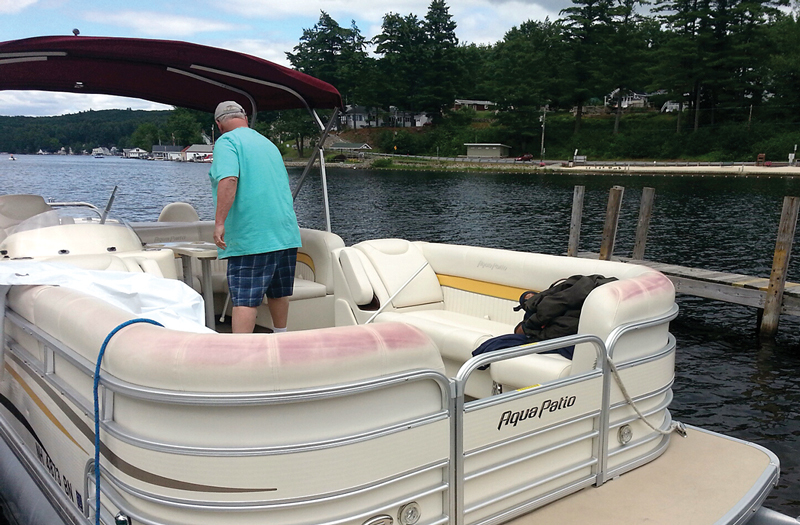 Even after publishing a short item on the cause of pink stains on white vinyl boat seats and cushions, the frequency of this phenomenon escaped me. Turns out, says Gestalt Scientific’s David Kraft, it’s an epidemic along the East Coast and possibly elsewhere. The cause, as we reported in this column in PBB No. 170 (“Mystery Solved: The Cause of Pink Stain on Vinyl”), is a bacterium called Streptoverticillium reticulum, which is often found in soil and rotting vegetables. Seems it also likes the insides of boat cushions, and maybe a lot of other places on board where its presence is not visible. Anyway, you can’t clean the pink stain, so we quoted a consultant to APV Engineered Coatings (www.apvcoatings.com) that the best way to deal with S. reticulum is prevention, such as applying one of APV’s Vynguard Weldable PVDF topcoats. Of course, this doesn’t help with already pinked seats. According to Kraft, it’s costing boat manufacturers and dealers thousands and thousands of dollars (millions, he said) in warranty claims. Gestalt Scientific was formed to find a way to remove the pink stain, and a group of PhDs in biochemistry, physics, and engineering was gathered to solve the problem. The result is PinkAway, available as a Home Solution and a somewhat different product for commercial use. Here’s how the Home Solution works. First, determine that you have real pinking, not the chemical type; Gestalt’s manual tells you how to make the distinction. Clean the surface with alcohol pads. Pop the cap off the cartridge containing the special liquid (one cartridge treats 7 sq in (45cm²) and apply to the pink. Expose the affected area to sunlight for a period, usually hours, according to a table provided in the manual. Repeat five times. And voilà! Pure white, no pink. The process is a bit lengthy, but it works. And it’s cheaper than buying a new cushion or seat cover. The commercial version uses the same chemicals but also employs a rare spectrum of LED light. Kraft says they have treated 70 SeaVee boats and that Monterey, among a growing list of builders, is referring their customers with pinking problems to Gestalt. Gestalt Scientific Corp., 16541 Redmond Way #303, Redmond, WA 98052 USA, tel. 888–314–6882.